Top 3 best looking headquarters of car manufacturers – why geko does not bring luck? Car manufacturers have to protect their image. While everyone knows that the looks of a car are very important, some companies make sure to establish their headquarters in amazingly beautiful buildings. In this article we look at three car manufacturers who are unexpectedly known for the architecture as well as good cars. Why exterior aesthetics of a building matters for car companies? Well, as we said, it is part of company‘s image. Automakers are trying to put their best foot forward and to not be associated with something ugly or boring. 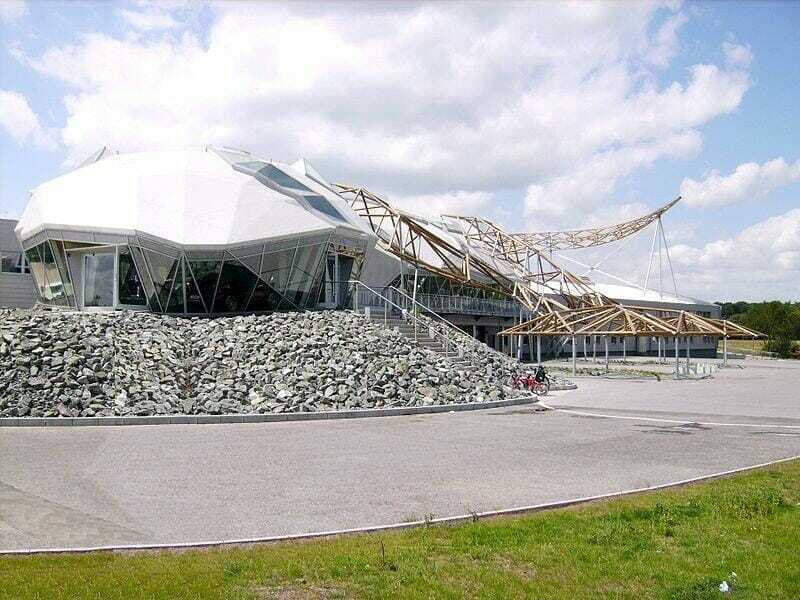 While a bad car model will soon be forgotten, an ugly building is here to stay. These three, however, are anything but ugly. BMW Headquarters in Munich was built from 1968 till 1972 – it was finished for summer Olympics, since the building is standing very close to the Olympic village. Immediately it became recognized as one of Munich’s architectural greats and up until now people love how it blends into the skyline of the city. In fact, this 101 metre tall skyscraper has a status of a protected historic building. 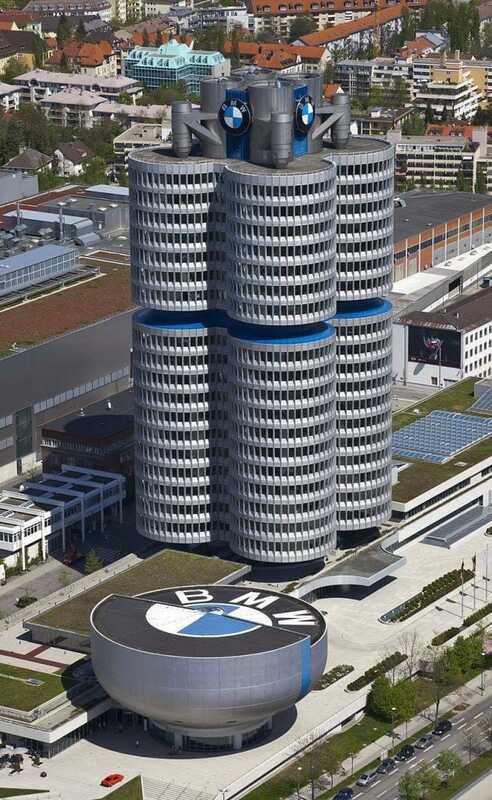 BMW tower is actually composed of four big cylinders, made to mimic cylinders of the engine. Interestingly, they are not even touching the ground as they are supported by the central column. Because a four cylinder engine is very important in BMW’s history, the building is made to reflect that. There is a museum building right next to the skyscraper and it is made to represent a cylinder head. Both buildings were designed by the Austrian architect Karl Schwanzer. McLaren is a famous supercar manufacturer that has a rich history in motorsports. Its headquarters, called McLaren Technology Centre, are located in Woking, Surrey, England and consist of four buildings. Everything is accomplished here: street car production, racing car manufacturing, technology development and so on. It is also home of McLaren Formula 1 team. The construction of the complex started in 1999 and the first building was completed in 2003. However, the automotive plant was not ready until 2011, which is also when production of MP4-12C, the first model of the reborn brand, started. The complex looks very futuristic and features clean lines and green surroundings. There are four artificial lakes in the area, the biggest one is places side by side with the main building and together they form a circle. 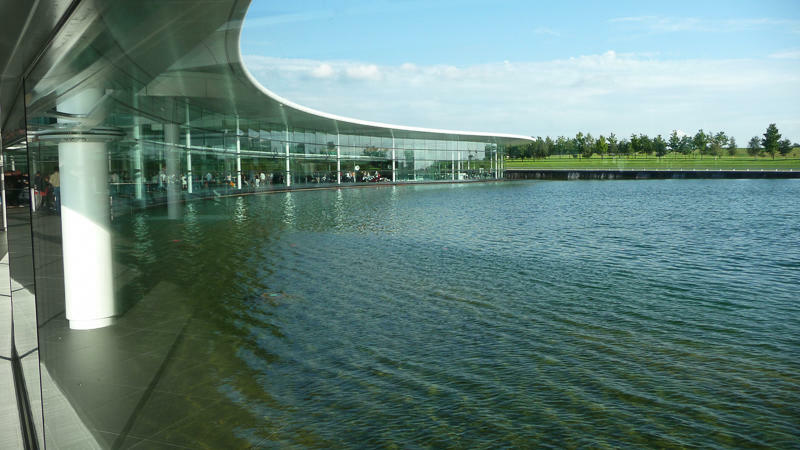 The McLaren Technology Centre was designed by architect Norman Foster. While no one knows for sure how much did it cost to build this complex, the investment was huge. But McLaren says it was necessary – it is much nicer to work in a clean, beautiful and silent place. It is more inspiring and is likely to attract the best engineers and experts. Wiesmann was one of those little, unique car manufacturers that disappeared because of financial problems. It was established in 1988 and released its first car in 1993. The speciality of Wiesmann has always been little, lightweight roadsters with running gear from BMW performance cars. They were fast, high-quality and rather beautiful. Even the Wiesmann logo – a shiny gecko – was quite unique and loved by automotive enthusiasts. For the most part, factory building was a very simple industrial construction, but everything changed in 2008. In 2008 Wiesmann built an addition to serve as a showroom. And, sure enough, it was shaped like a gecko. Many car magazines and TV shows showed this new feature of Wiesmann factory every time they were speaking about brand’s cars. However, not everyone knows that this gecko was made from wood. Sadly, it didn’t bring the company financial luck and Wiesmann was liquidated in May 2014. Posted in VarietiesTagged BMW, car factory, McLaren, WiesmannLeave a Comment on Top 3 best looking headquarters of car manufacturers – why geko does not bring luck?